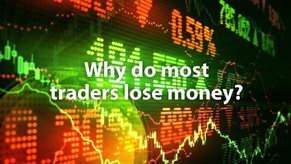 Most traders lose their money, some take longer than others, but it is only the lucky few that make it. The TFF Trading Academy reveals how to avoid the sharks - how to trade in a safer environment. Most of the information from others will tell you how to trade, but it doesn’t get into the real psychology, it doesn’t give you the real pitfalls to avoid. Because it is in their interest for you to fail. These videos are just the beginning, and if you are serious about trading you will want more from us. This is our way of making a difference, and even if you don’t believe that yet, just make sure you watch all the videos below before you even consider live trading. Forex Market Focus: Trade FX and you can trade anything!